Your horse is a prey animal. His eyes are set on the sides of his head to allow peripheral vision and depth perception – in front vision. This is how his ancestors detected the movement of predators even while grazing with heads down at ground level. To focus his eyes, the horse raises his head for distance and lowers his head for near objects. This explains why a Jumper needs to look straight at an obstacle with both eyes (depth perception) and without the head held high (looking past the jump). Because it takes time to focus (and that could turn him into a meal), the horse reacts to movement and checks out what was moving from a “safe” distance. This pattern applies to most large prey animals – cattle, llamas, goats, sheep, etc. They may be totally safe in your barn, field or paddock, but their genetically coded responses can override their own life experiences. There is a common goal to NOT become a meal, even if it is totally not a possibility in this lifetime for that horse. Nature holds a power over all animals. 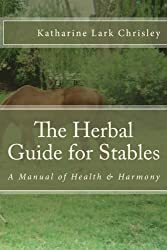 Your horse is a total herbivore. He should not be fed products that contain ingredients from animal sources. I am a vegetarian. 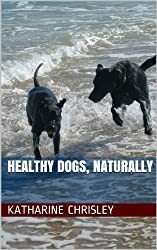 I have total understanding of how ingestion of an unfamiliar animal flesh product can upset the digestive tract from one end to the other. Because I am a mammal and so is your horse, we can ingest things like yogurt without ill effect (of course, yogurt is very nourishing and health enhancing!) as long as it is free of things like artificial sweeteners, colors and the like. Your horse cannot vomit, so everything he eats has to make it through a long and winding series of tubes that comprise the digestive tract. It really pays to be careful with everything that is fed to your horse. The horse’s perspective is quite different than ours. We have eyes set at the front of our heads like predators and we do tend to move like predators. It can be unnerving to horses. To help him understand your intentions, move with steady, relaxed grace around your horse. Do not come up on him suddenly, unannounced (especially from behind!). Do not move crouched, slowly, stiffly as if you are “sneaking” up on him! Approach him as you do an old friend and talk to him. The safest place for you to be positioned around a horse is at his shoulder (for your safety and his). He can see you (he has a blind spot directly in front of and below his nose and right behind his bottom) and he cannot strike, bite or kick you. Now, horses do not want to strike, bite or kick us unless they feel defensive and vulnerable (like when surprised from behind – for all they know, a tiger is about to leap onto them). A horse can feel defensive because of past experiences (they have amazing memories) and you might trigger a response without realizing it. If you are having problems with your horse, try to figure out his perspective: does he feel confident that you are a kind and consistent leader? Horses look for a herd leader (or try to become one). Provide that leadership for him by CLEAR, CONSISTENT schooling. Make it easy for him to do the “right” things and difficult for him to do the “wrong” things. And be sure to consistently consider the same things “right” or “wrong”. You can drive a horse insane by rewarding him for doing something one day and punishing him for it the next. 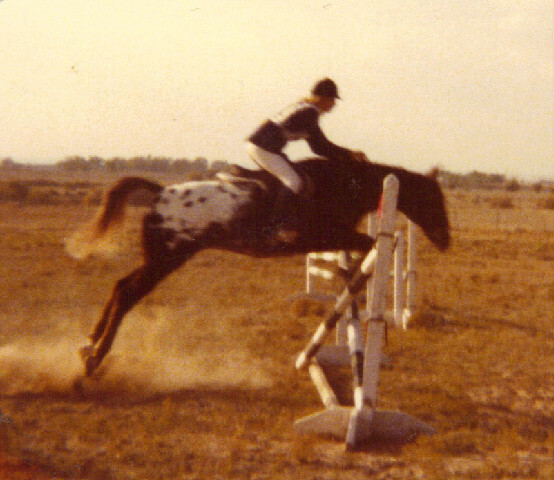 You can develop your schooling program for your horse with a reward based system or a punishment based system. Either one will work. If you base your system on punishing each infraction, your horse will work to avoid punishment. He will only participate with you to keep from being corrected. If you use the reward based system, encouraging and praising and marking every “good” behavior, your horse will strive to find MORE good things to do for you and a RELATIONSHIP will form! It’s your choice. Horses are mirrors for us. They truly do reflect our attitudes and emotions back to us. This is why they are such great teachers of patience, courage, compassion and self discipline. 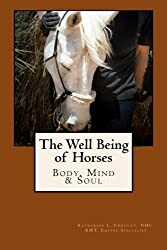 Horses excel in psychotherapy programs because of their pure, honest reactions to us. We cannot lie to horse, he will see right through us. A horse perceives much more than just the surface. And horses are at our mercy. In the wild, without fences, a horse can find food and water. In the back paddock, he is totally dependent upon a human being for every life sustaining need. If you have the honor and responsibility of caring for a horse, always consider his viewpoint. His life is in your hands. Your horse only knows what he is allowed or not allowed to do. He has no perception of Right or Wrong. If he comes from a life with other humans, he will have the imprint of their values in his data base. If you need to change him, do it GRADUALLY. You have to do things the way he knows at first, and then slowly teach him YOUR ways. I met a lady who came to this stable where I was training a stallion. She was to turn out and bring in the mares and foals. The horses were used to having their gates opened and they just ran out to the pasture! (This was not my barn, just a client’s) The lady, on her first day, decided she would catch each mare and lead her out. She nearly got killed … NOT because these were bad mares! It was because she tried to change their routine dramatically without any prior conditioning or interaction with the horses.